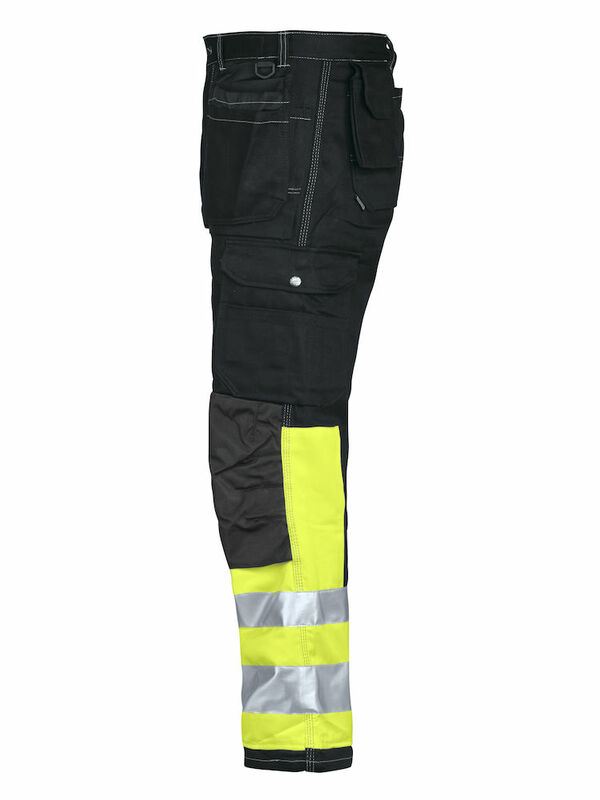 These JOBMAN Workwear workpants bring comfort, visibility, and durability on the job to a new level. 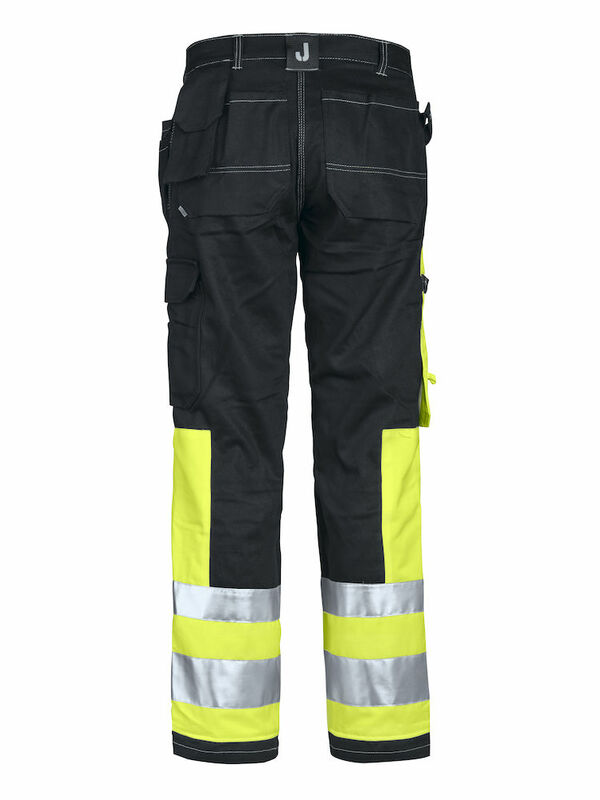 This unique workpant features triple stitch seams, holster pockets, pre-bent knees and knee pad pockets. 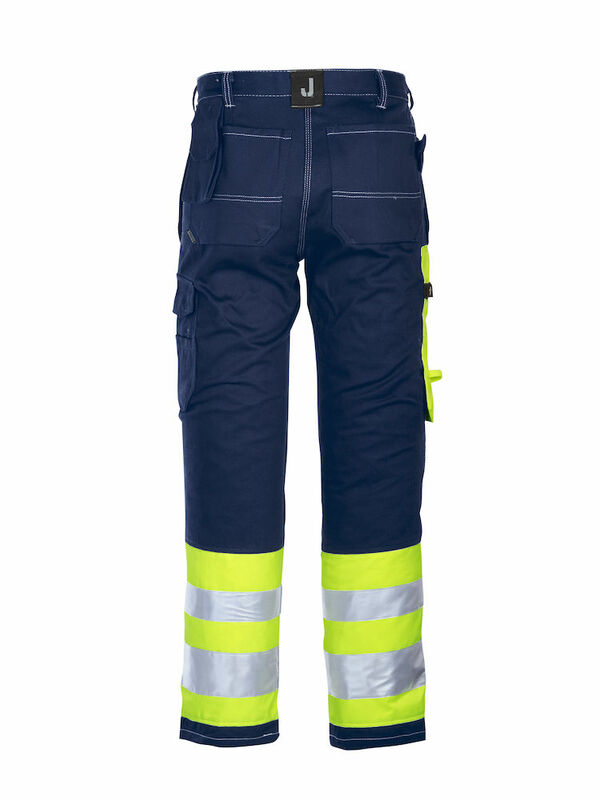 Made of a durable heavy-duty cotton specificall developed by JOBMAN, these pants will out last any others on the job. The pockets are re-inforced with Polyamide for even greater durability where it counts. 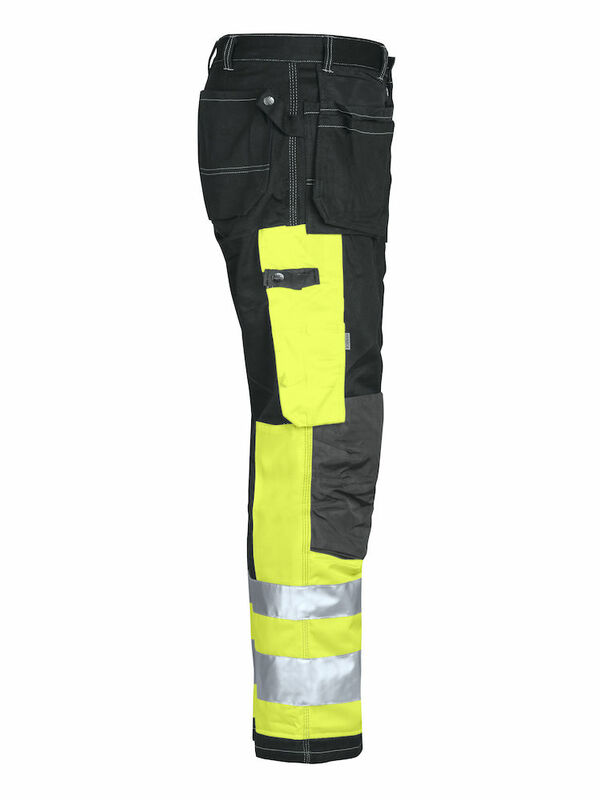 These pants also feature High Visibility fabric and reflective strips on the legs for increased visibility on the job. Hip pocket for phone. 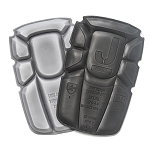 Spacious holster pockets with extra compartments and inside reinforcement. Patch front pockets that holster pockets tuck into. Hammer loop. Back pockets with reinforced lining. Reinforced rule pocket shifted forwards unattached at bottom edge with knife button. Leg pocket with phone compartment. Pre-bent knees with knee pockets in a new hardwearing fabric. Fluorescent fabric and reflectives on legs. 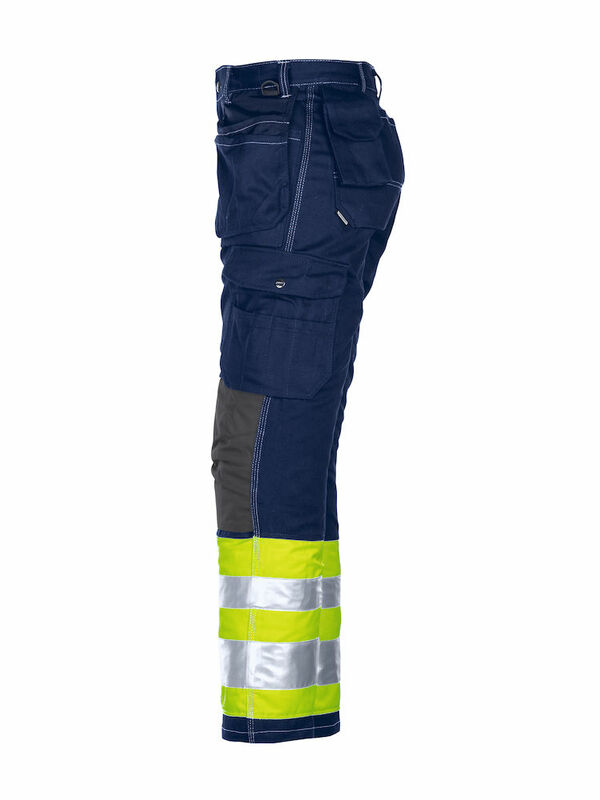 Certified due to EN471 for high-visibility clothing. Material: 100% cotton, 260g/m². Polyamide reinforcements. 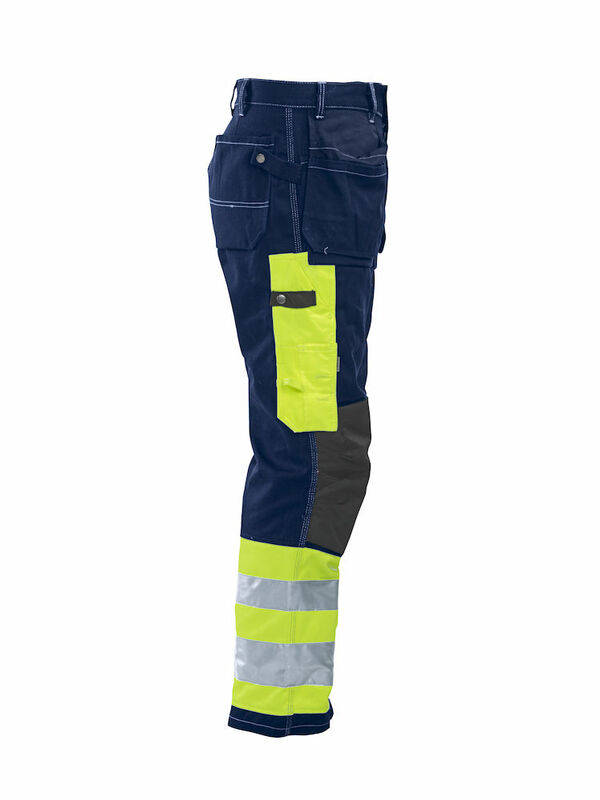 I would highly recommend these work pants. The quality is by far the best I have found. Look forward to ordering more soon.